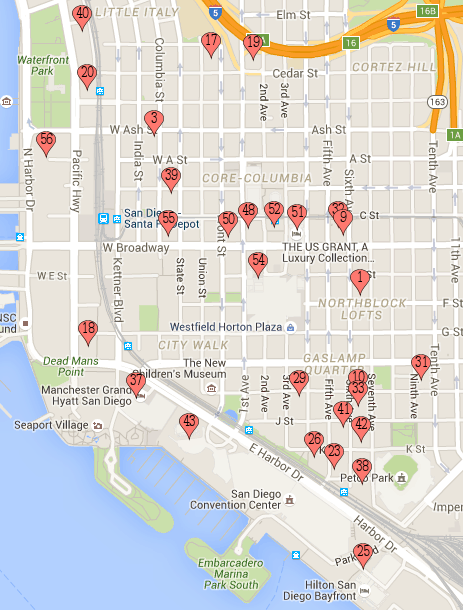 Here is a Map of just the Downtown Hotels. Click to bring up the full zoom-able map of ALL Hotels. All Hotels within walking distance also have shuttles available. Click on a Hotel name to see a review for it on the forum! Click a column heading to sort by that column.